As you consider your kitchen remodel, we strongly recommend that you don’t let anyone push you into something that fails to meet your true needs. The truth is that many Kansas City kitchen remodeling companies work from a few limited design templates. Most contractors also fail to offer anything other than a full kitchen remodel, completely ignoring the option of a kitchen refinish. We’re different. Our skilled design consultants will take the necessary time to figure out what you want and then tailor a custom plan to meet your expectations. One of our services is of course the full kitchen remodel. 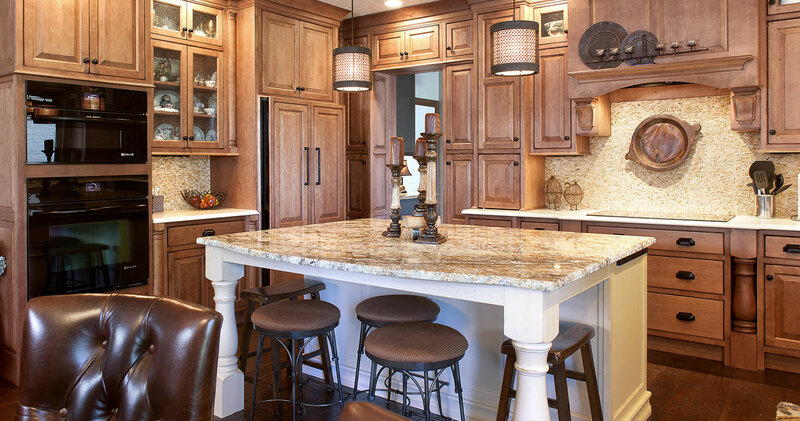 In fact, we’re the Kansas City Full Kitchen Remodeling experts – we’ve done thousands of them. But we also offer a kitchen refinishing option. It’s not the right choice for everyone, but if it’s for you, it will save you lots of money and time. In fact, a kitchen refinish costs about 1/3 of a full remodel, and can be done in about 1/3 of the time. Totally transform the look and layout of your kitchen. Get better cabinets that have more functional space. Get a custom kitchen, built from the ground up. Completely makeover the look of your kitchen, but in about 1/3 the time, and at about 1/3 the price. Most Kansas City kitchen remodelers won’t even offer you this option. Full Remodel Or A Refinish? Learn more about what choice makes the most sense for you. Talk is fine, but let’s see some pictures! See the beauty we bring to Kansas City kitchens. For even more information, go to our Kitchen FAQs.